This lightweight moisturizing formula is proven to visibly reduce the look of all types of lines around the eyes, including crow’s feet, squint lines and deep-set wrinkles – starting in just one week. Next generation ocular skin technology powerfully addresses the appearance of under-eye dark circles and puffiness to illuminate and awaken. 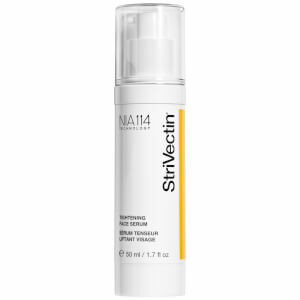 Patented NIA-114™ technology helps strengthen delicate eye area skin and diminish dehydration. Optical diffusers reflect light to immediately brighten dark shadows and help alleviate visible signs of screen fatigue. Visibly reduces the look of all types of lines in the eye area. 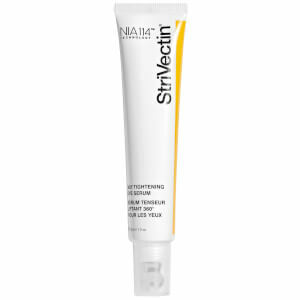 Alleviates the appearance of under-eye circles and puffiness. Brightens and diminishes visible signs of screen fatigue. Apply in the morning and at night on clean skin. Gently pat around orbital bone. Aqua (Water, Eau), Butylene Glycol, Myristyl Nicotinate, Cyclopentasiloxane, Caprylic/Capric Triglyceride, Glycerin, Isocetyl Stearate, C12-15 Alkyl Benzoate, Glyceryl Stearate, PEG-100 Stearate, Bisabolol, Myristyl Myristate, Pentylene Glycol, Dimethicone, Ethylene/Acrylic Acid Copolymer, Squalane, Caffeine, Arachidyl Alcohol, Acrylamide/Sodium Acryloyldimethyltaurate Copolymer, Malus Domestica Fruit Cell Culture Extract, Plankton Extract, Nannochloropsis Oculata Extract, Zingiber Officinale (Ginger) Root Oil, Lepidium Sativum Sprout Extract, Caprylyl Glycol, Isohexadecane, Panthenol, Lecithin, Ceramide NG, Urea, Trehalose, Dipeptide-2, Sodium Hyaluronate, Palmitoyl Tetrapeptide-7, Tetrapeptide-21, N-Hydroxysuccinimide, Chrysin, Palmitoyl Tripeptide-1, Parfum (Fragrance), Behenyl Alcohol, Cetearyl Alcohol, Dicetyl Phosphate, Ceteth-10 Phosphate, Polymethyl Methacrylate, Arachidyl Glucoside, Polysorbate 80, Benzyl Alcohol, Xanthan Gum, Tetrasodium EDTA, Benzoic Acid, BHT, Hesperidin Methyl Chalcone, Steareth-20, Sodium PCA, Pullulan, Silica, Hydrolyzed Hyaluronic Acid, Resveratrol, Polyquaternium-51, Triacetin, Mica, Titanium Dioxide (CI 77891), Tin Oxide (CI 77861), Iron Oxide (CI 77491), Aminomethyl Propanol, Sodium Salicylate, Phenoxyethanol, Chlorphenesin, Sorbic Acid. 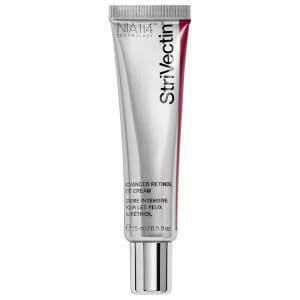 I have been using this product for two months now and the wrinkles getting diminished. I would recommend this product if you have wrinkles around eyes.